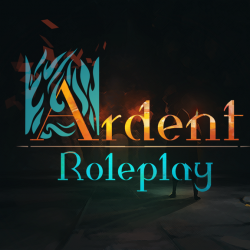 What is Ardent Roleplay? Check out what you can get as part of the Ardent Roleplay app here. Take your tabletop experience to the next level with Ardent Roleplay's AR system that puts you and your fellow players directly into the adventure. With the Ardent tokens, and the companion app, you can add characters, enemies, environment, and interactable elements to your game board with the flick of a finger. See the adventure come to life in front of you! Move your character token around the table, avoiding traps, finding loot, and seeing the monsters right before your very eyes. 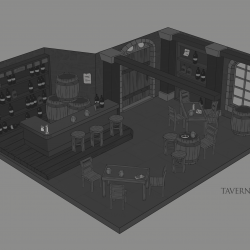 Build your adventure and truly give each player their own roleplaying experience. 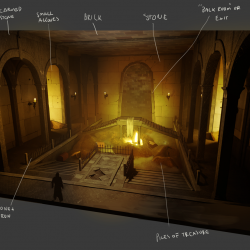 Everyone's devices are connected, allowing you to show information and environmental elements only to the players that passed the relevant checks. What Does Ardent Roleplay do? Connect your party's devices together via WiFi for a shared adventure experience. See where you, other players, enemies, and allies sit on the initiative track at a glance. See whether a character is Healthy, Injured, Critically Injured, or Dying. See whether a character is Blinded, Charmed, Deafened, Fatigued, Frightened, Grappled, Incapacitated, Invisible, Paralysed, Petrified, Poisoned, Prone, Restrained, Stunned, Unconscious or Exhausted. Remember which adventurer deserves the glory with the Adventure Log, keeping track of Loot Collections, NPC meetings, Encounters and Post-Session Notes. Was it only the rogue who passed their perception check on that mound of dirt? Then show the trap only to that player. The possibilities with Individual Information are endless. Players can see what special items they have in their inventory using the Loot Tokens. Give secret items to players without the others knowing what it is. Gone are the days of binary success or failure. With Ardent Roleplay, you can offer your players both partial and full success and failure states. Hear the sounds of the environment through your device's speakers or headphones.